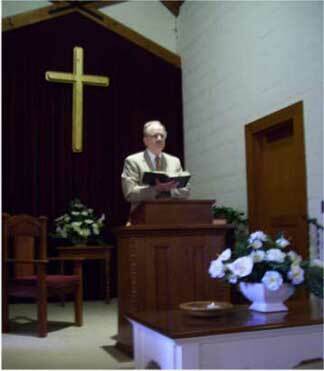 Lawrence D. Clark, D.Min., is a pastor who has retired to the Cripple Creek and Hopewell Churches. He is retired from his Marriage and Family Therapy practice and as a Pastoral Counselor. Originally he is a native of Southern New Jersey, but has lived in Tennessee for 11 years where he is also retired from the Middle Tennessee Medical Center. Pastor Lawrence enjoys and appreciates serving in the rural areas that characterize both churches. He is married to Jackie, and they live in Smyrna with their 3 dogs. Together, they enjoy travel, British movies, and read constantly together. Under the tutelage of his wife Pastor Lawrence is learning to do English gardening, or at least to create some semblance of an English garden. Pastor Clark took his theological training at Eastern Baptist Theological Seminary and received his doctorate from Saint Paul School of Theology. He believes in the centrality of the Trinity in the individual's expression of the Christian faith, the Bible as the primary source Book of the individual and church, and the historic creeds that reflect how the church has lived out her faith over the centuries. He believes that the poor and the suffering must have a place in the life of the church and the individuals in the church. This expression of faith and service witnesses to Christ's compassion and mission to the world.